Since the beginning of the monsoon rains, 511 people lost their lives and 176 others injured in floods and landslides in India. 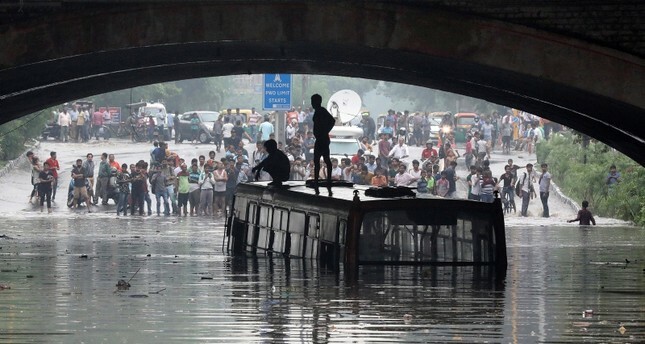 According to a report released by the Central Water Commission (CWC), since the start of monsoon on June 1, 91 districts have been affected by floods and landslides with some 55,000 houses damaged. Around 1 million livestock and 81,147 hectares of crops were lost as well. The report also said that this year's monsoon was the worst in the last 64 years in terms of rain volume..
India suffered the highest loss of life due to floods in 1977 with around 11,000 dead.